The modern DJ is presented with a plethora of options. Once upon a time, your choice was simple: you needed two turntables and a mixer. If you were on a budget, you got the cheapest setup you felt like you could get away with. If you had the money, you got a pair of Technics and a DJM-something. It’s not just turntables anymore. There’s standalone controllers, modular controllers, FX units, mixers with sound cards, sound cards, software… the list goes on and on. What does one actually need? There are a number of reasons for DJs to exist, and there are different things that inspire and motivate them. Do you want to create mixes for your own listening pleasure? Do you want to start your own radio show or podcast? Do you want to focus on scratching and turntablism? Do you want to just want to play house parties with your buddies? Or do you want to start your own mobile DJ business, specializing in weddings and corporate events? The choice is yours. This is important, because it is a crucial step in determining what kind of gear to buy. If you want to be a turntablist, you may have no need for a standalone Traktor controller. Some options are more portable than others, which may be better for mobile DJs… and so-on. Putting in a little thought and research now can save you wasted money, in the long run. We all have a few noise-making gadgets laying around. A common myth about DJing is that you need all sorts of specialist gear in order to do it. But guess what? DJing is simply playing pre-recorded music to an audience. Everything else is just gravy. So what do you have that you can utilize now? Put those expensive DJ monitors on hold, and use that old set of 2.1 PC speakers in your closet. Instead of spending $500 on a pair of powered monitors, spend a dollar or two for a simple adapter. While it’s true that you probably don’t want to throw any parties with under-powered speakers (unless you want to blow them up), it may be worth scouring your closet, garage, and shed to find out what you can use as a temporary solution. Bonus Tip: One of the first problems for a gear-less DJ is, “how do I cue/monitor my mixes?” In other words, how can you “pre-listen” in your headphones so that you can properly mix? If you can’t afford a proper audio interface or mixer, a simple splitter may be just the solution. Essentially, this combines your left/right channels into one mono signal, and leaves the other channel available for monitoring in your headphones. Some (such as the cable to the right) even let you accomplish this with your iPad or iPhone using software like Traktor DJ. Filling up your shopping cart at Beatport, with a bunch of new tracks that cost up to $2.49 a piece, can cause a bit of sticker shock when hitting “checkout”. There are plenty of ways to save on your music budget, without resorting to piracy. Many artists use sites like Bandcamp to allow the buyer to choose their own price, or give away free tracks to their most dedicated followers. Depending on the type of music, you can also purchase digital music the “standard” way, but from a different store. Sometimes the same track for sale on Beatport might be up to a dollar cheaper on WhatPeoplePlay.com or some other digital store. iTunes is often cheaper as well. A DJ on a budget may decide to not pay the upcharge for WAV files. 320kbps sounds fine, and lossless music can be prohibitively expensive. Today’s DJ software will function surprisingly well on its own, even without using dedicated hardware (like a controller). Sure, there are limits. There are things you can’t easily do, like slowly filter out the bass of track A while you bring up the channel volume of track B. But. a DJ can learn a lot about mixing by operating under limitations like this. And the methods you develop can be added to your DJ “toolbox” for the rest of time. Let’s take the above example. 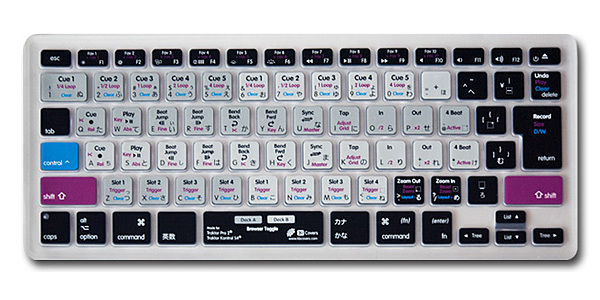 There are no knobs on your laptop keyboard to turn, in order to smoothly remove the bass. But you do have a lot of buttons. Learn (or map) the keyboard shortcut for a bass kill (which would simulate instantly turning the low EQ all the way down). Not only have you worked around your problem, but you’ve inherently learned a new style of mixing. And you’ve learned that the sudden impact from track B’s kick drum can be very effective, rather than slowly blending it in. A lot of DJ software is available for free… so if you already have a computer, you can easily have basic DJ functionality with a little clever thinking. Hint: without any special hardware, your experience with DJ software will be greatly enhanced by doing some track prep. Proper beat grids prevent tracks from drifting out of time, predetermined cue points save you from mousing around, etc. Don’t be afraid of buying used or refurbished DJ gear. Many companies are releasing hardware at a fairly high refresh rate, which means that older models quickly become available as early adopters buy the latest-and-greatest. If it was used to mix music at any point in history, it can probably be used to mix music now. For example, at the time of this article, the Kontrol S2 sells for $399 brand new… but I was able to find them on eBay hovering around and below the $200 mark in mint condition. If you have the option to buy locally, it might be the preferred option. There are a lot of little knobs and buttons and lights on DJ gear, which means a lot of points of failure. It’s nice to be able to see and hear everything in action. When buying online, try to do your homework. When possible, investigate the feedback and history of your seller. Many people seem to think that “pro-level” gear is required to become a DJ, or that real DJs only play vinyl, or that it’s not worth it to play on anything other than industry standard Pioneer hardware. If it sounds good, it is good. 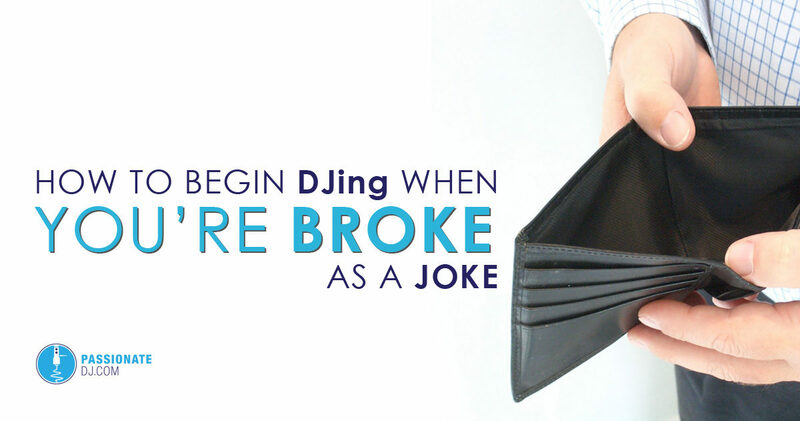 Impressing your DJ buddies is less important than serving your own needs, and operating within the confines of your budget. Let the squeaky wheels squeak, while you learn how to express yourself through music instead of hardware. We often get questions from listeners of The Passionate DJ Podcast, asking for recommendations on beginner DJ hardware which is high-quality, sturdy, but also affordable. We address this question in Episode 68, titled Baller on a Budget. We gave ourselves a (soft) $500 budget and put together 4 unique setups that would allow someone to get started DJing, learn the craft, and even play out some gigs. 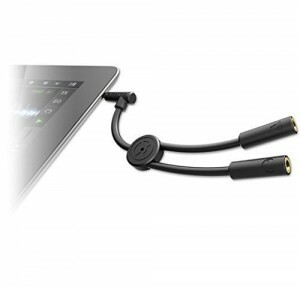 The only assumption we make, is that you will have some external audio source to hook up to. You’ll have to listen to the episode for the explanations behind each setup, but you can see the full list of hardware on the show notes page.